Katy and Chuck receive beer mail from Beau's All Natural Brewing Company. The styrofoam package contained the most recent Beau's Mix Pack (available now where good beer is sold). 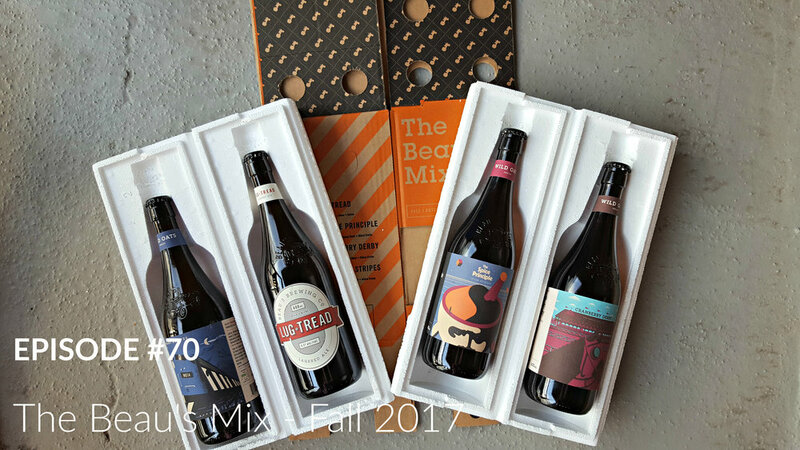 The Beau's Mix - Fall 2017 is available pretty much everywhere (pubs & restaurants, the brewery, BYBO, LCBO and Grocery Stores). Did we just create The Beau's Mix CHALLENGE?! In case you did want to watch a video of Dad Jokes. We are totally wrong with the taste profile of fenugreek. I guess we need to do some taste tests. Katy has a weird relationship with beer. Going to Beau's Oktoberfest? Let's have beers!